Obituary for Joseph "Pat" Coffey | Shore Point Funeral Home and Cremation Services, Inc.
Joseph Coffey, fondly known as "Pat" by his family and friends, passed away peacefully surrounded by his loving family on Monday, March 26, 2018 at Jersey Shore Medical Center in Neptune, New Jersey. Pat was born on December 31, 1925 in Newark, New Jersey, where he grew up. In 1940, Pat moved to Union Beach with his family during his teenage years, and after marriage in 1960, he and his wife, Marjorie, settled in Matawan, New Jersey to raise their family. In 1998, he retired to Keyport, New Jersey. Throughout his lifetime, Pat was very involved in his local communities. Before retirement, he worked for I.F.F. in Union Beach as an Electrical Supervisor with 35 years of service for the company. He was a devout parishioner of St. Clement Church in Matawan, as well as a member of their Holy Name Society. He was also a Volunteer Firefighter and member of the Freneau Fire Company and Union Beach Fire Company #1, where he was also a lifetime member. In addition, Pat was a member of the Hazlet and Keyport Senior Clubs, as well as a member of the American Legion Post #321 in Union Beach. 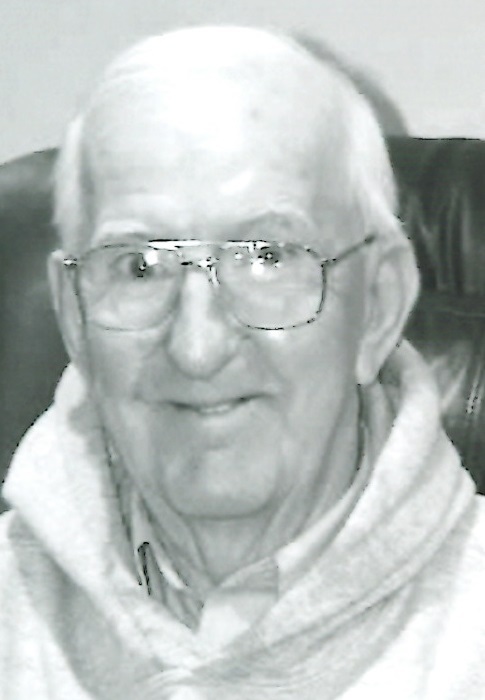 Pat was a proud United States Navy Veteran, having served our country during World War II. He was predeceased by his parents, Joseph and Eleanor (Siebert) Coffey, his devoted wife, Marjorie (Smalley) Coffey, his beloved daughter, Barbara Zewecke, his cherished grandson, Joseph Blanco, and his dear siblings, Harold, Mae, Fran, and Betty. Pat is survived by his loving children, Ellen Roberts and her husband, Michael, of Matawan, New Jersey, Lloyd Coffey and his wife, Ellen, of Union Beach, New Jersey, and Mary Brandow and her husband, Patrick, of Palm Bay, Florida, his cherished grandchildren, Michelle Buchanan and her husband, Dan, Kevin Roberts and his wife, Kerri, Dana Pawlak and her husband, Matt, Danny Canales, John Blanco, Bill Brandow and Chris Brandow, his adored great grandchildren, Kayla Buchanan, Mackenzie Roberts, and Mason Polchlopek, and his long-time companion of 20 years, Grace Schaufler. Pat will be deeply missed, but never forgotten. Family and friends are invited to visit on Monday evening, April 2, 2018 from 4:00 to 9:00 PM and Tuesday morning, April 3, 2018 from 8:30 to 9:15 AM at the Shore Point Funeral Home and Cremation Services, Inc., 3269 State Highway 35 North, Hazlet, New Jersey 07730. A Mass of Christian Burial will be offered on Tuesday morning, April 3, 2018 at 10:00 AM at St. Clement Roman Catholic Church, 172 Freneau Avenue, Matawan, New Jersey 07747. Entombment will follow at St. Joseph Cemetery Mausoleum, 360 Broadway, Keyport, New Jersey 07735. In lieu of flowers, donations in loving memory of Pat to the Disabled American Veteran's, www.dav.org, would be greatly appreciated. For information, directions, or to send condolences to the family, please visit, www.shorepointfh.com.